on a daily basis, as well as meet your needs for daily outings and short trips. 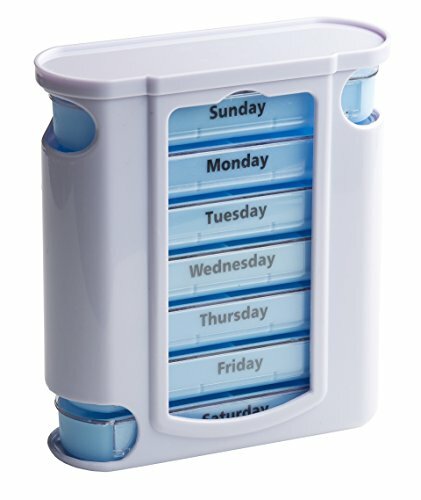 The pill organizer with a lock button. and make sure the lid stays closed and doesn’t open automatically, so don’t worry about the pills spilling out of your bag. Having the hand-held size, it is easy to carry and can be put in your pocket or wallet. and accurately inform you of your medication use. If you are not satisfied with the products you purchased or find your products damaged at the time of receipt, please contact us in time. 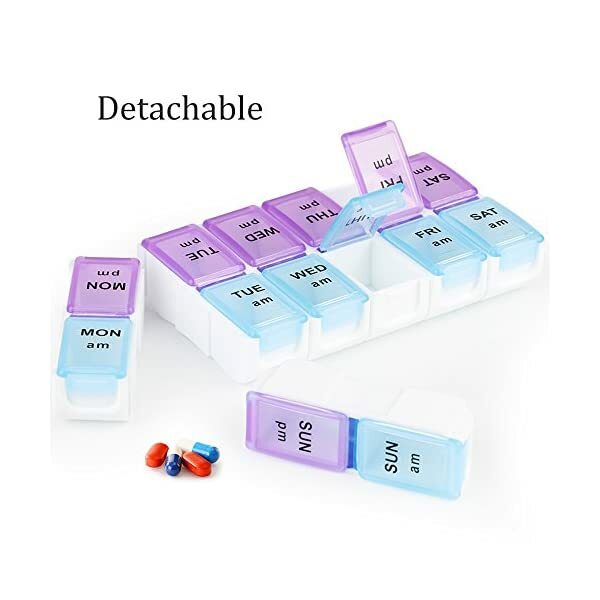 Pill organizer has 7 compartments, and you can place the tablets, capsules, fish oils, and vitamins you need according to the size of the compartment. 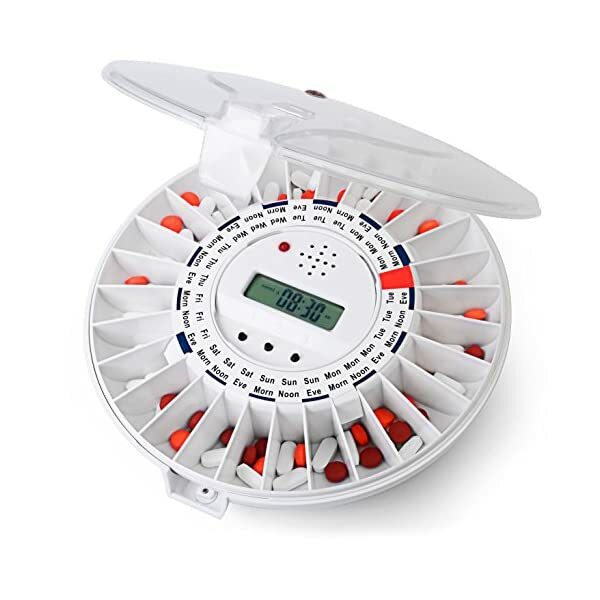 The Pill box has a lock button, and each compartment has a corresponding lid, which will never be automatically open to allow the drug to leak into your bag. 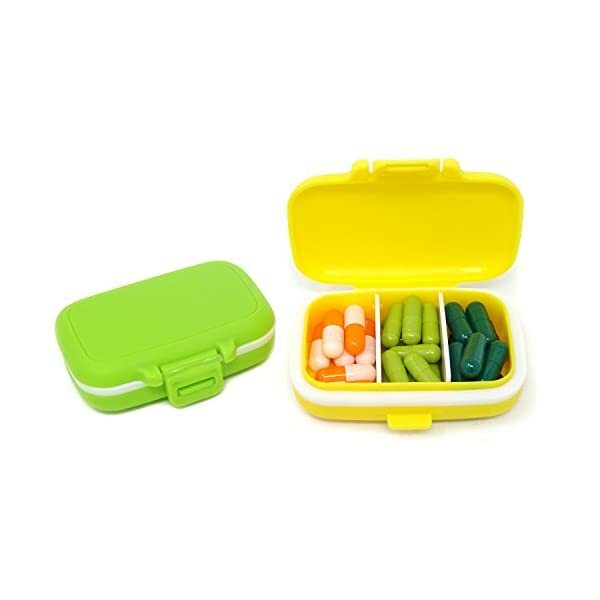 The pill case is made of high quality translucent food-grade plastic, free of BPA, safe, non-toxic and odorless. More importantly, translucent compartments can clearly and accurately inform you of your medication use. 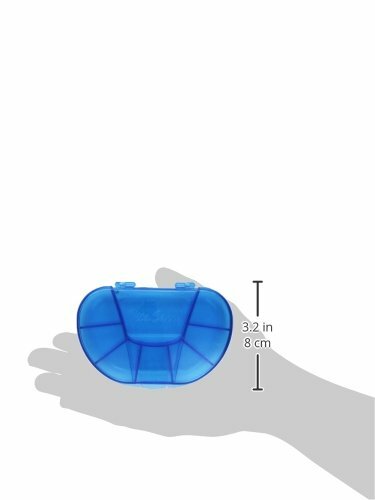 Hand palm size of the pill holder take up less space, meet the dose you need for daily work and short trips, Perfect for you purse, suitcase, pocket or carry-on bag. 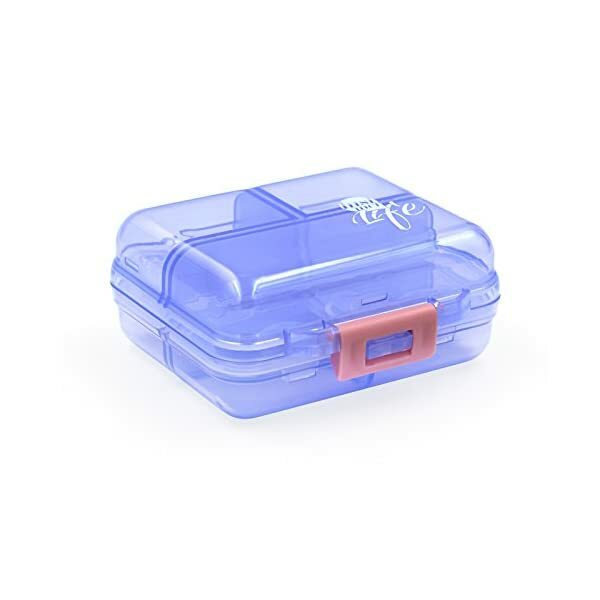 The pill case is made of plastic and may be damaged during transportation. If you receive a damaged product, please contact us at once, we will provide a free exchange for you. 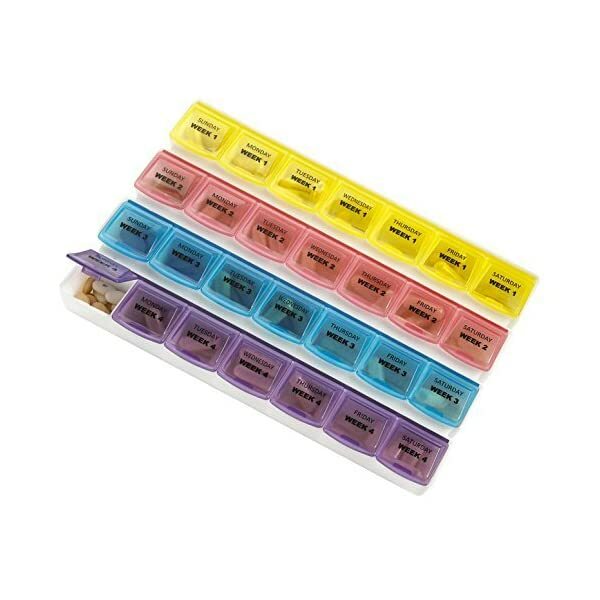 ✔ ORGANIZE YOUR VITAMINS & PILLS FOR A WHOLE MONTH: Imagine how much time you would save if you only needed to organize you medications in your pill box organizer once per month... THEN you'll love how the MEDca easy to use monthly pill box. ✔ EASY TO READ BOLD LETTERS: You'll love the bold easy to read daily & weekly lettering on the MEDca monthly pill organizer holder allowing you to easily find and allocate your medications for an entire month. When it comes to your medication organizer we want to make sure you avoid mixing up medication when taking your pills of the day. 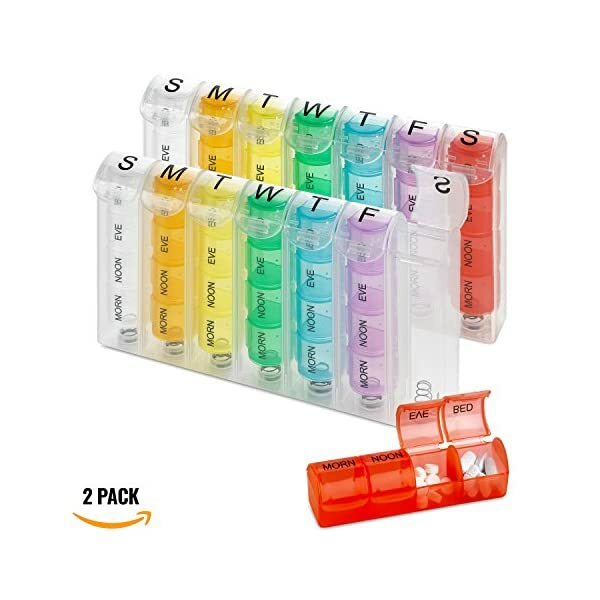 ✔ ONE COMPARTMENT PER DAY: With this pill organizer, each of the weekly pill organizers have separate divider compartments so you can fit more medication or vitamins. 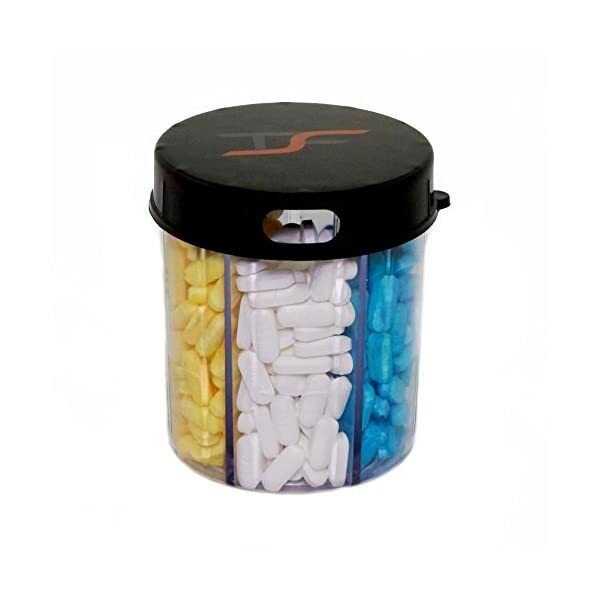 Theres plenty of room for all of your larger size pills so you know that they all fit nicely into each pill case even room left over.